Hello Blogger folks, do you enjoy blogging at your end? I know you are. I have no doubt about that. Few years back, it felt like Google abandoned Blogger platform as it wasn't getting much attention. But recently Blogger has been offering some wonderful features to the blogging platform to improve the experience of bloggers and readers. Blogger's new look, Dynamic Views, integrating Google+ social platform and introducing threaded comments are few of them. Are you satisfied with the default comment form and its capabilities? Comment section is a place where bloggers and their readers gather around and interact with each other to strengthen their relationships. Obviously, it's the popular way of getting feedback for your content directly from your audience which then converts into further conversations. Sometimes this conversations go viral and end up leaving lengthy comment section and goes beyond the author-reader relationship. That's where your readers becomes more loyal and engage with your blog actively. How much do you care about comments made on your blog? Really you should appreciate reader comments and I know you always do. Whether someone comment on your blog or you gonna comment on someone else's blog, it helps to build relationships directly or indirectly. If you wanna know how comments help build relationships, read Adrienne Smith's commenting tips. Why do you blog? There could be many number of reasons I can think of. But the most relevant question here would be - Who is your audience? 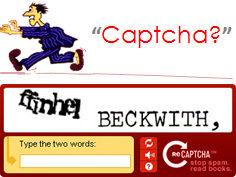 'Cause its answer will help you to select best commenting option you need. You may have a public blog where you share your thoughts and ideas publicly. Or you may have restricted it for few people as you wanna create more private space with few contributors. So by looking at your audience, you might wanna select who can comment or cannot on your blog with available options. Did you find best comment option for your blog? Sometimes you wanna customize your blog to be par with your expectations and requirements to improve productivity. Or just to enhance the design of your blog. Did you ever find that Blogger comment label is buggy or irritating? Oh... I must have told you before. Comment label is the text displays number of comments published in related to a particular post. Usually it appears on comment section just above comments made on a post. It's just show off the comment count. 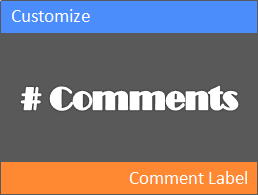 When it comes to designing or customizing your blog, you may find that there's no setting to customize comment label as you need. However you can customize this label at your template. But do you know how to customize it? When blogging, reader comments are really matters if you wanna get feedback from your readers or interact with them. It is a best way to get specific responses for your posts and to analyze engagement of readers. So bloggers will always welcome visitors to comment on their content via comment forms. Now commenting is a basic and must have feature in almost all blog platforms. Also in Blogger platform, commenting feature is enabled for all Blogger blogs by default. But it doesn't enforce you to enable comments and in case if you wanna disable comments on your blog, you are free to configure commenting feature. Finding a way to configure commenting feature on Blogger? 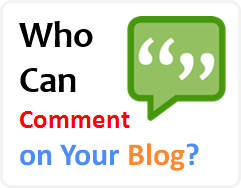 Do you have enabled comments on your blog? Commenting is must have feature in a blog. Comment form is a place where your readers interact with your posts and leave their ideas, appreciations and all their feedback. So reader comments are really helpful as it is a way of retrieving feedback and it could be a pathway to generate innovative ideas. Blogger has had commenting feature for all their blogs and you may never wanted to use any other external comment provider unless the default comment form couldn't reach your satisfaction level. If you compare Blogger comment form with other external providers, you may see some lacking features in Blogger comment form. However recently Blogger starts to revamp all their features and now they are refurbishing their comment form. As a result of that, Blogger rolling out threaded commenting feature for all Blogger users. But did your blog still fail to reflect this change or yet you are unable to make use of threaded commenting feature? Reader comments are very useful and it's a great way to get exclusive feedback to your content. By default, Blogger enables comment form to each of your posts and let readers to drop their comments underneath your posts. But sometimes you may find that some users trying to make comments which can be considered as spammy. However, practically you can implement comment guidelines to follow and display them publicly for readers to prevent this abusive behavior. 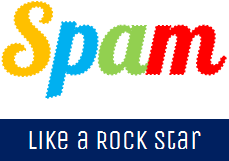 But still guidelines itself may not control spammy comments. So would you like to take control of comments before they published on the page? 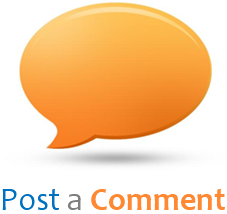 Commenting feature is popular for gathering feedback and ideas of users engaged with your blog. 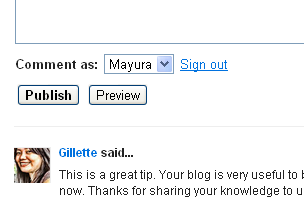 If you are publishing a post, by default Blogger enable comment feature unless you disabled commenting on your blog. If you create a new page aka static page to display static information, also comment form will be appeared for readers to make comments on those pages too. But you may don't wanna display comment form on some of your static pages. Do you wanna configure comment feature on individual standalone pages and let readers comment only on pages where you wanna allow commenting? Commenting is compulsory to communicate with your readers especially on a blog. 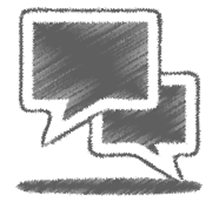 As a communication tool, you can let them express ideas or contact you through the comment feature. Sometimes you would like to customize the formation of displaying comments. So if you display embedded comment form below each post on past pages, you may find that comments submitted by readers were appearing above the comment form. But what if you prefer displaying comments below the comment form? Do you think hiding post footer from your homepage is a worst case scenario? No it isn't if you feel it's bothersome and taking a lot of space from homepage. So you will show only snippet of post with a link to actual post page using jump breaks or just full post. But with the hidden post footer, you will hide most of elements related to posts which are crucial to the particular post such as published date and time, author name, related labels, number of comments. We discuss how you can show off author, labels, date and time via How to Display Post Author, Date/Time and Labels post. But comment link was missing there. 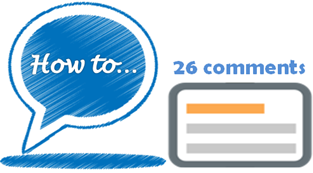 You don't need to confuse your visitors without showing a way to comment on your blog. How you gonna show comment link then? 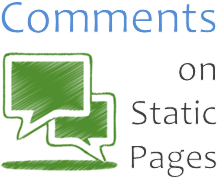 Did you implement Facebook comment social plugin on your blog? We have already discussed about implementation via Add Facebook Comment Social Plugin to Blogger post. 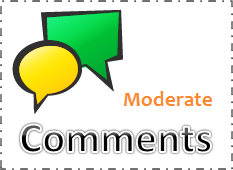 If you have implemented it on your blog, you may have find that you can moderate comments easily with Facebook comment moderation tool. But as you have more number of posts on your blog, you may find it buggy to keep an eye on Facebook comment moderation tool to see recent comments made on your blog. Sometimes you may have missed comments that needs more attention and users may have to wait for long hours until you reply for them. Therefore you will find it somewhat disturbing as no way of notifying new comments. 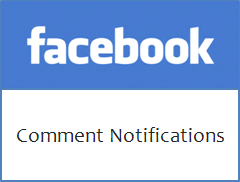 Would you like to get notified whenever someone made a comment via Facebook comment plugin? 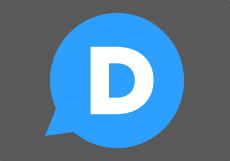 Blogger offers you a default comment form for your blog to get feedback from your readers. It has moderation and threaded commenting feature too. Mostly comment form is vital as it allows your visitors to ask questions and provide their ideas and thoughts on your content. It's where conversation begins. However default comment form is not the only way you can make use of. If you need you can add third party commenting platforms on your blog. So what do you think, beyond default comment form, if you can add stylish comment plugin to your blog easily? Also what if your comment form can give more exposure to your content in addition to commenting? While you are managing your blog, you might have special attention on your blog's look and feel. Arranging page elements, widgets and customizing template are common design practices in many bloggers to impress their blog visitors. You may have seen an empty white space below Blogger comment form. Mostly it doesn't matter if you are selected not to display backlinks for your posts. If you have enabled backlinks in your blog, it might be troublesome on the aspect of appearance of your blog by occurring much white space gap below comment form. The reason for this gap is the height of your comment form area and you can alter this on your Blogger template. Wanna know how? As you publish unique and quality content on your blog, your blog readers interested in reading and enjoying them everytime they land on your blog. As they find them interesting for them, they might share your posts with their friends and followers too. 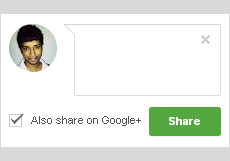 In addition to sharing, a way for them to interact with you is commenting. Comments are form of feedback for your content and it's an integrated component of a blog. As they find your content interesting, they can convey their ideas and suggestions via comment form. However you may need to invite your readers to comment on your blog with a creative message. 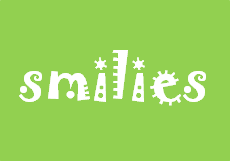 A creative message can get them to your comment form. isn't it? Commenting is another major activity you find when it comes to blogging. You can engage with readers and vise versa through commenting. It aids you to gain feedback for your posts and for your blog itself from your blog readers. 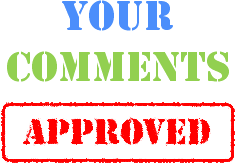 So generally a comment form is available in almost all blogging platforms. So Blogger provides you comment form by default for your blog too. Using Blogger comment form, your readers can comment and you can reply to their comments too. It's all based on text. But in addition to text-based standard commenting feature, wouldn't it better if you can add more color to your comment form by enabling emotion icons aka smilies for your commenters to express their emotions along with their comments?